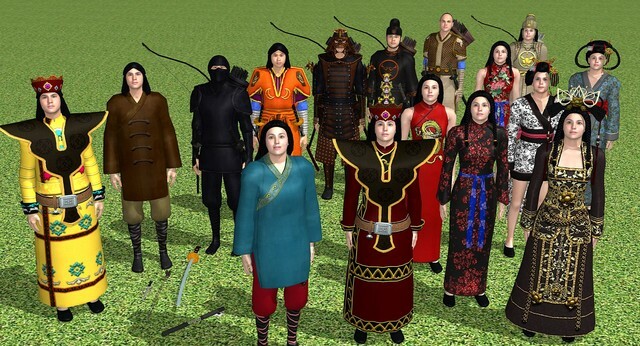 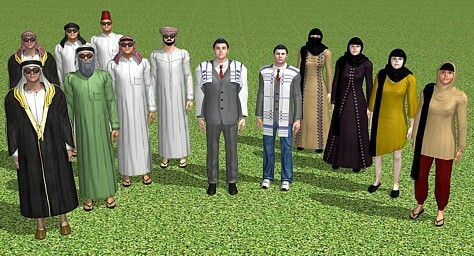 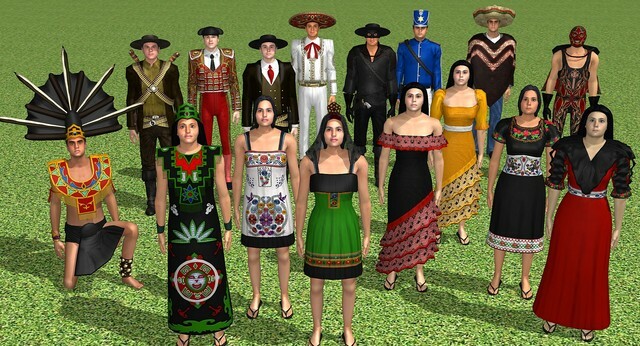 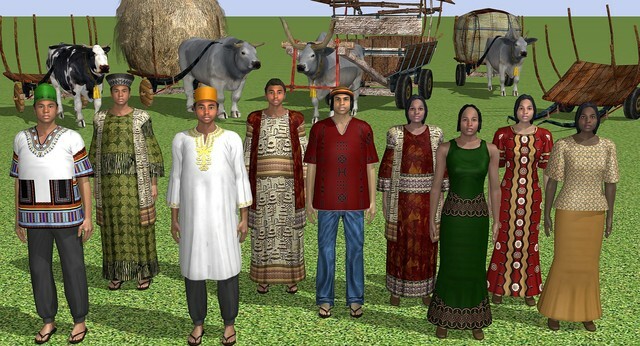 FrameForge's World Clothing Expansion Pack takes all the standard 32 male and female actors and dresses them in traditional and ethnic clothing from around the world -- Africa, Asia, India, South and Central America, Middle East, American West and Medieval Europe. 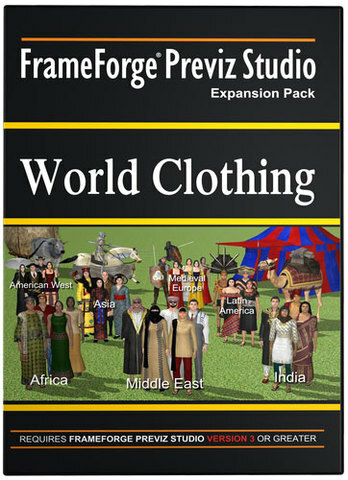 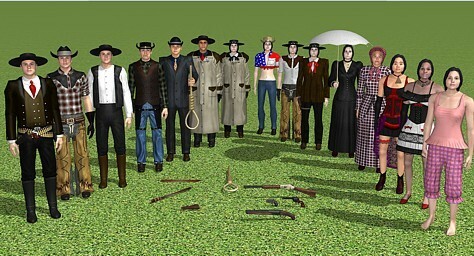 With over 90 new outfits, most with numerous options and combinations, and over 350 MB of additional clothing textures and decals, this expansion pack allows FrameForge Previz Studio 3 Users to make literally thousands of new clothing combinations. 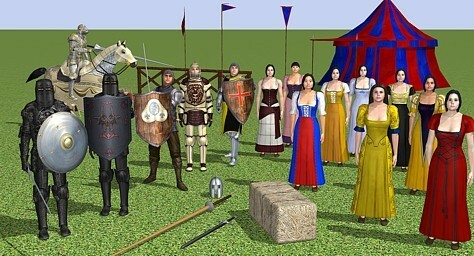 Animals: Bull, Cow, Calf, Asian Cow, Snakes, Camel, and Medieval Armored Horse, along with appropriate carts, poses and relationships. 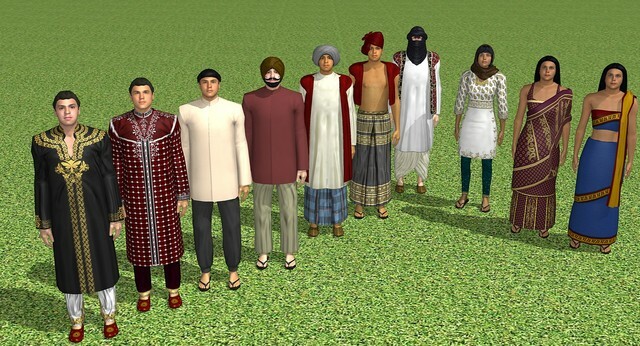 Over 100 ethnic accessories ranging from hats, boots and parasols to guns, machetes, period swords and more! 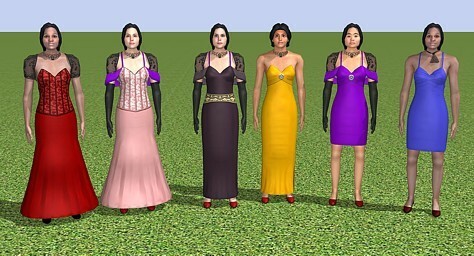 Requires Frame Forge Previz Studio 3.